In August of 2009 the Brigantine Kaisei made a 29 day voyage to the North Pacific Gyre to investigate the extent of the plastic contamination in the ocean water and the effect on the ecosystem. One aspect of voyage was a series of experiments to determine the feasibility of collecting and recycling the plastic in a sustainable manner. 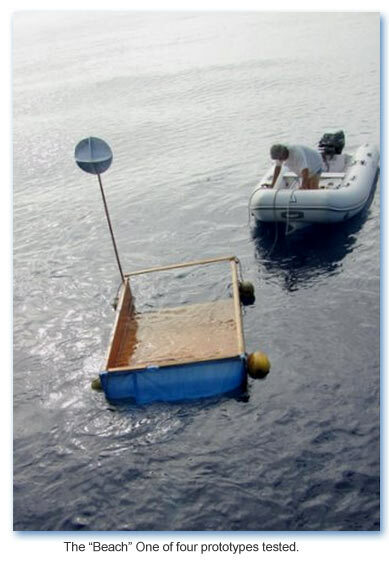 Based on the earlier investigations of Charles Moore of the Algalita Foundation, there were several factors making any active system of collections impractical such as the low density of plastic per unit volume of seawater which would lead to an unacceptable consumption of fuel per pound of plastic collected. Another problem with towing any sort of net is the by-catch of fish, plankton and invertebrates that could negate the positive effects of cleaning up the plastic. To resolve this Norton Smith developed four prototypes of passive systems that he and Melanie Smith constructed and tested during the voyage. One device called the “Beach” proved to be effective at gathering plastic without catching living creatures. 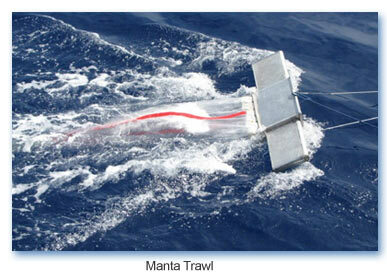 A second aspect of the investigation was determining the size distribution of particles by sorting the contents of standard Manta Trawls into four size gradations by means of screens. The result of the limited study also corroborated other researchers’ findings that the density of plastic has approximately doubled in 10 years.